I recently attended The Ethics Alliance Sydney Event on Moral Injury in the Workplace. How do we communicate with someone in the workplace who is suffering from mental health issues? What are the rights and responsibilities of those employees and what are the ethical approaches needed? High stress cultures are a part of modern business, so how do we ensure we are promoting a culture that protects people from being pushed too far? Firstly, to get us all on the same page, what is moral injury? ‘Moral injury’ is a term used to describe the way in which ethical beliefs and unethical actions can have severe consequences for someone’s psychological wellbeing. If someone is required to perform a task that conflicts with their own values and feels wrong, they are susceptible to suffering a moral injury. It’s a concept, which has traditionally been most heavily discussed in high-stakes, trauma-heavy environments like the military, emergency first responders and among survivors of abuse. However, it’s not particularly well understood, especially outside of these specific fields, despite becoming a growing issue in other industries and workplaces too. Moral injury can present differently for everyone, and the duty of care employers have to their employees may be easily breached. Often the injury can’t be seen, so how can we identify it? It was a very timely event, especially given the recent admission by Australian cricketers (including the Captain Steve Smith), of cheating by tampering with the ball against South Africa. It is also against the ‘Spirit of the Game’, which is also outlined in the Laws Of Cricket Preamble. Centred around playing hard but fair, respecting opponents and umpires, and showing self-discipline in difficult situations. Now I don’t want to blow it all out of proportion, as I’m sure you’d agree that sport has been rife with cheating. And ball tampering in cricket isn’t new. People have been trying to get an unfair advantage for decades. Sport is high stakes. With huge commercial gain and glory to be had by winning – whether it be a gold medal in the Olympics, taking the Tour De France, or almost any other personal or team sport where financial investment, endorsements and sponsorship opportunities are aligned. So is fair play and ethical behaviour in business just an ideal? Or can we all take ownership over our own actions? The speakers spoke about the psychological impact on people of unethical behaviour or actions. Whether that be on the perpetrator, or the person impacted by the action. And in many cases both. 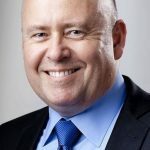 They raised the points that business is about decision-making, and for many people, decision-making may involve trying to get an unfair advantage over the competition. And senior leaders may force more junior staff to operate outside ethical boundaries. What was most interesting was that the ultimate point was that we all have a choice. We can choose to slip into this behaviour. Or we can stand up against it. And often by standing up against it you do risk loss in terms of loss of financial opportunity, loss of friendships, loss of face in the perpetrator’s eyes, and maybe even loss of job. However, each speaker reinforced that in essence there is good and bad all around us. But the grey area in business is where do we feel that a moral injury has actually occurred. So discussion posed that by broadening the definition as being impacted by a wider scope of unethical activity, then the spotlight can be raised on the issue. It was extremely thought provoking and I left with these bullet point notes. Maybe they can help you identify the culture you work within and to put the spotlight on unethical behaviour. Or at the very least give you courage to speak up. 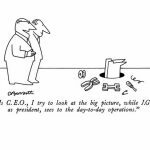 There is a high cost of moral injury in business today. Both in financial and psychological terms. Mental health is a serious focus area in business. Specialist attention needs to be offered by employers and protection mechanisms must be in place. The onus is on employers to offer employees a safe haven to openly discuss their concerns, as well as prevent unethical behaviour in the first place. Whether that be with an in-house psychologist, or outsourced service specialist, or codified values and terms of acceptable actions and behaviour. However, it’s no longer acceptable to ignore it or leave it to see if it goes away. It’s obviously a very challenging area to discuss as some people may not identify with mental health, nor see an action as unethical. And others may be offended at the suggestion of discussing it. Specialist and skilled professionals should be involved as early as possible. Employees have the power to stand up and speak out. The pendulum has swung towards accepting moral injury as a legitimate claim area. The challenge for employees is to identify how and why it has occurred, and then work through ultimately what they would like to do about it. I’d urge you to contact The Ethics Centre if you’d like to know more. I don’t profess to be anywhere near an expert in the law here. However, I do feel strongly about it. And as independent consultant, TrinityP3 always urges people to speak up on areas where they see unethical practice, be that agency or media or marketer. The increased complexity of marketing can lead to conflicting objectives and demands resulting in many in the profession facing ethical dilemmas. But I’ll leave you with a story that one of the speakers conveyed. The speaker was faced with a crossroads situation in the Czech Republic. A senior Czech Government official came to visit his business with a junior associate and said that if he hired the junior, then all the Government contract work that he wanted would be awarded to his business. He knew that this was in affect a bribe and that he would be beholden to whatever the Czech Government wanted, which invariably would be ongoing unethical blackmail. a) Hire the junior and win lots of Government contact work, look good in his leadership’s eyes by exceeding his financial KPIs, and live an easy street business life in a country that had a very different view on ethics in business. And for doing so, he was still subjected to psychological abuse by the Czech Government. It was, in affect, a lose / lose situation. But he stood by his values, and ended up returning to Australia with his morals intact. I wonder what you would do? TrinityP3 Marketing Management Consultants is a corporate member of the The Ethics Alliance. 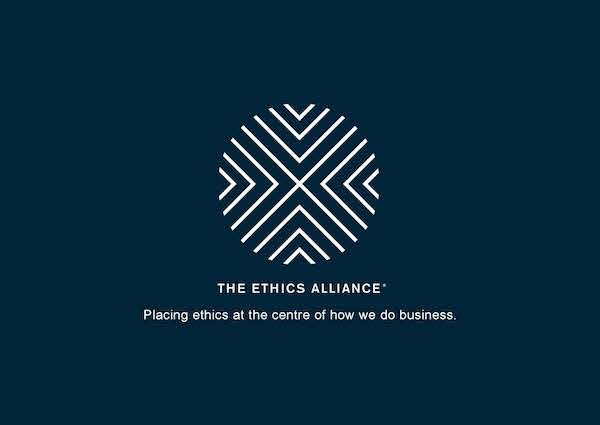 You can get more information on The Ethics Centre and the Ethics Alliance here.